or catch up with camp friends without having to go to Muskoka? Come join us at this FREE day where you can experience a typical day at camp! all with a Christian focus. People who are familiar with Camp Kwasind, and any who have never been to camp before and want to find out about it! All participants will be placed in “cabin groups”, with cabin leaders for the day. 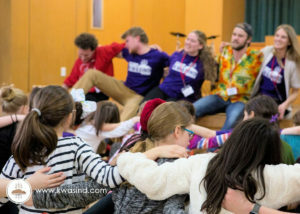 You will be joined by leaders from the Camp Kwasind Management Team, Camp Kwasind Staff, and Camp Kwasind Alumni. * This event is free of charge, however a suggested donation of $5 to cover the cost of lunch will be gladly accepted. See old friends, make new ones! 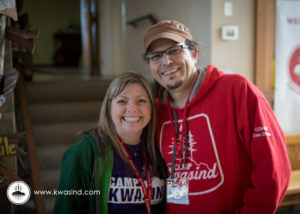 I am a camper who has never been to Kwasind and would like to attend this event alone. How will I be assigned to a cabin group? You will be placed in a “cabin” group with other kids the same age. You will be assigned a “cabin leader” for the day. “Cabin groups” will be co-ed for this event, and most activities will take place with the large group. I am a leader who would like to bring my small children for the day. Is there daycare available? Unfortunately, no. We are unable to provide child care for this event. Yes, we have a large parking lot at Central Baptist Church, and there is a primary school parking lot across the street, and high school parking lot down the street as well. Does my camper need to bring anything with them for the day? No, all activities take place indoors and all supplies and food will be provided throughout the day. If you want, you can send your child with refillable water bottle with their name on it. 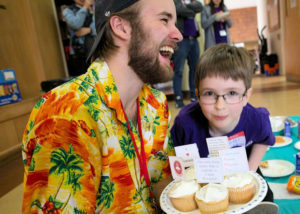 Why is this event taking place at a church in Oakville and not at Camp Kwasind? 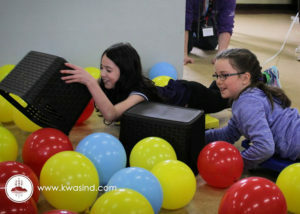 This is a one-day promotional event that does not require the space or amenities that Camp Kwasind has. 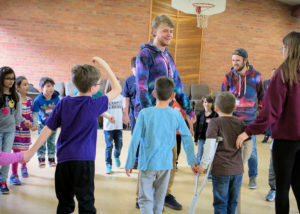 Also, due to the time of year, we wanted to keep the events inside, and be a much shorter driving distance to experience the same fun activities that Camp Kwasind can offer. We will be providing an alternative version of waterfront and other outdoor activities while inside. I am a parent who will be driving my child to this event from a distance. Am I allowed to stay at the event for the day? Unfortunately, no. The leaders of the day have already been assigned from the Camp Kwasind community. For safety we need to limit the number of total persons in the building for the day, so cannot invite parents to stay for the entire event. However, you are welcome to return early at 4:30 and share snack and meet the leaders and campers. Please contact us by email and we can help provide you with the details of local malls, libraries, YMCA, or play parks for younger children. Yes, Central Baptist Church’s main floor is on ground level with automated doors. We have a WC accessible washroom and a special stair lift chair to move the child/leader from the main floor to the upper hall. I have a gluten allergy and/or am a vegetarian. Will you be providing special meals to accommodate this? Yes, we will have a gluten free option and a vegetarian option. If the camper or leader has multiple food allergies, we would encourage them to provide their own lunch where possible to avoid any potential allergens. We will be happy to place their sealed lunch bag in our fridge, unless they are able to bring an ice pack and/or small cooler to keep it separate from any of our food. Who exactly will be the leaders at this event? 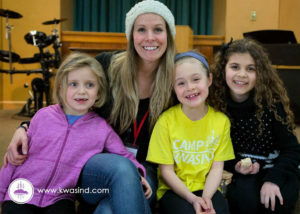 Leaders of the day are Camp Kwasind Management Team members, former/future Camp Kwasind Staff, and Camp Kwasind Alumni. Do I need to attend church to send my child to this event? No. 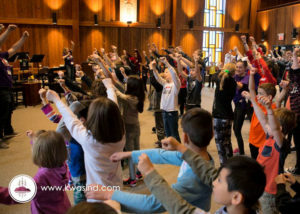 At Camp Kwasind we believe in sharing our beliefs as Christians, in a fun, interactive, and open way. 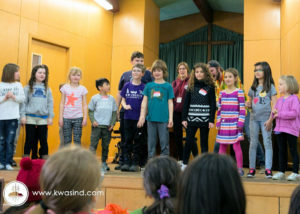 We incorporate our beliefs into the songs in Worship, grace sung at lunch, songs sung at Vespers and Campfire, and will have a Pastor-of-the-day delivering a short message geared to kids of all ages. We strive to share our beliefs in a non-threatening, simple way that encourages love, honesty, kindness, and caring. 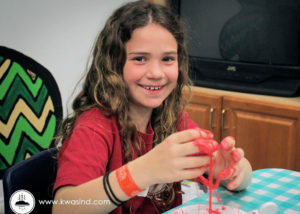 Many of our campers do not attend church, but thoroughly enjoy their experience at our camp. We will be open to answering any further questions you may have. I am a Youth Group leader who wants to attend the event. Am I expected to be a “cabin leader” even if I haven’t been to camp before? If you have any further questions, please email us at register@kwasind.com.